Xanadu was established by Dr John Lagan, an Irishman, who arrived in Margaret River in 1968 and was inspired by the pioneering spirit of the region. At the time, the potential of Margaret River as one of the world’s finest wine-producing regions was only just being considered. John established one of the region’s earlier vineyards planting his first vines in 1977. A lover of literature and inspired by the similarities between the environment at Xanadu and words of Coleridge; Dr Lagan named the vineyard after the home of Kubla Khan. Xabregas has rapidly exceeded expectations of a small producer, collecting a bounty of awards and outstanding wine reviews including Gold at the International Wine and Spirit Competition 2007 and 2008 in London, the Qantas Wine Show of Western Australia and the New Zealand International Wine Show 2007 and 2008. 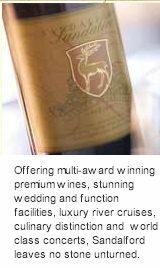 Xabregas received a Five Star rating and the title of Best Mt Barker Winery in James Halliday’s - Australian Wine Companion 2007. 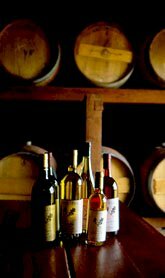 The initial Xabregas wine production was limited to 2,800 cases and each year has increased in quality and quantity, with the 2008 bottling yielding 18,000 cases. The Xabregas brand is now synonymous with quality and value and has become a much sought after label. Woodlands vineyard was one of the first five vineyards to be planted in the Margaret River Wine Region. David and Heather aimed to create wines to emulate the great vineyards of Bordeaux, namely Cabernet Sauvignon and Cabernet based blends. 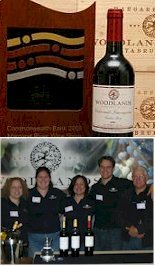 Woodlands came to fame early on with the release of the 1981 Andrew Cabernet Sauvignon. This wine took out trophies for Best Red Wine at the Perth Wine Show, the Mt Barker Wine Show and the National Wine Show. This wine was the first from Margaret River to achieve a National Red Wine Trophy. Subsequent Cabernets made by David Watson won trophies and critical acclaim across the country. In 2003 a couple of influential winemakers and shadowy ruffians decided there was some fun to be had by putting together some pretty neat parcels of fruit from the region, creating their own label, releasing it with minimal fuss, and then remaining anonymous until the dust settles. Brad is the public face. He's the guy who makes all the decisions. He embodies the grower, maker and marketer, and he enjoys a drop too. There's a little bit of Brad inhabiting all of us to some degree. Some say he is a mythical figure but we dispute this vehemently! He is the guy we have chosen to represent every aspect of our wine. This wine is Brad. With a CV that includes some of the legends of Margaret River wine (Leeuwin Estate, Xanadu) he was a natural to deal with the day-to-day driving of the Brad bus. And he was the only guy called Brad that wanted the job. Results showed Albany’s growing conditions in spring and summer were virtually identical to the Burgundy region of France. It was therefore decided to experiment with Burgundian varietals such as Pinot Noir and Chardonnay. 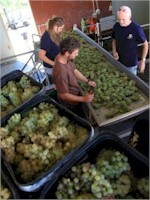 Growing grapevines was a completely new experience for the family, as well as for the Albany sub wine growing region. The Wignalls judgement proved correct, and results were not long in coming. 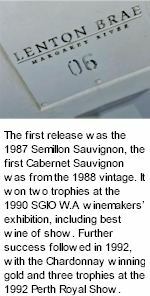 With the planting of the first ten acres in 1982, Wignalls King River Vineyard was up and away as a prestigious Australian small label. Within the Great Southern wine region is a collection of five sub regions, each with their own unique topographical qualities. These regions include Denmark, Albany, Porongurup, Mount Barker and Frankland River. 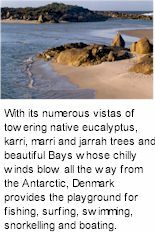 With a typical maritime climate, the coastal towns of Denmark and Albany experience relatively mild summer temperatures and cool wet winters. These conditions enable fruit to ripen slowly and gradually, thus developing subtle layers of fruit intensity and are well suited to the earlier ripening varieties such as Chardonnay, Pinot Noir and Merlot. Further inland to Mount Barker, Porongurup and Frankland River, the days are slightly warmer, and the nights are cooler (with a higher risk of frosts). With greater sunshine hours, these sub-regions are where Riesling, Chardonnay, Cabernet Sauvignon and Shiraz varieties thrive. The Watershed label was designed by Roland Butcher and incorporates a purple room with a four paned window on the wall. Green vines can be seen looking out of the window, however, the main focus is a ray of light streaming through the glass and diffusing across the floor, symbolizing a human being’s stream of consciousness - a creative but almost uncontrollable thought process, spurred on by small inspirations, all leading to a final revelation, or awakening. Voyager Estate began life as Freycinet Estate, its first vines being planted in 1978. When it became Voyager Estate in 1991, the first move was to expand the original 44 hectares by buying three adjoining properties, bringing the total area to 300 hectares. Over the next few years a program of extensive modernization and improvement was undertaken. Taking pride of place is a magnificent cellar sales building, constructed in the enduring South African Cape Dutch style of architecture. The choice of this handsome and functional style of architecture reminds visitors that the first vines planted in Western Australia in 1829 were introduced from South Africa. The expansive gardens are now maturing and transforming Voyager Estate into a place of singular tranquility and beauty. 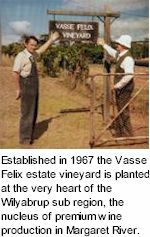 Situated in the sub-region of Willyabrup, Vasse Felix is now owned and operated by the Holmes a Court family. Visitors to the winery are welcomed by a unique underground cellar, a spectacular restaurant overlooking the original 1967 plantings and an exquisite art gallery, making Vasse Felix one of the great drawcards of the region. Margaret River enjoys perfect conditions for viticulture. 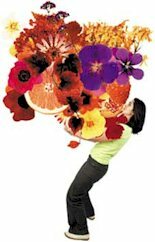 It's Mediterranean climate features mild, wet winters and warm, dry summers - ideal for the growth of high quality fruit. By comparison with Bordeaux, Margaret River enjoys less rain during a longer, drier moderate growing and ripening period. In 1965 Dr John S Gladstones emphasised the region's suitability on his report "The Climate and Soils of Southern WA in relation to Vine Growing". Two years later Dr Tom Cullity planted his Vasse Felix vines. Prior to his retirement from the corporate world in December 2000, Ian was Managing Director of Marketforce, Perth's largest advertising and marketing agency. His retirement signalled an end to a career in sales and marketing spanning some 35 years. Patricia, prior to the arrival of their son Matthew in 1997 worked in radio sales at 94.5FM and had also worked in the advertising and media industry for almost 20 years. Enjoying a passion for good wine they had made many visits to the Margaret River wine region over the years and their love of the area grew as they travelled from Perth numerous times during their wedding preparations in 1996 when they were married at the historical St. Mary's Anglican Church in Cowaramup. This is when the idea of buying a property "down south" became more than just a passing thought. The estate produces pure Margaret River styles and West Australian blends from the Swings vineyard and local shareholder and contract growers. 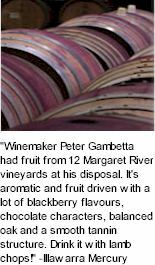 The strong belief is in the northern Margaret River fruit that can develop wines with elegant Mediterranean structure for great drinking, with or without food. 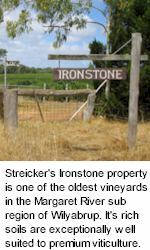 Established 2002 by John Streicker after his original purchase of Yallingup Protea vineyards and farm, Streicker Wines today also encompasses two other vineyards, Bridgeland and Ironstone, with a total of 153 hectares currently under vine. Since the first significant planting of vines in 1967, Margaret River has grown to be regarded as one of the great wine producing regions of the world. 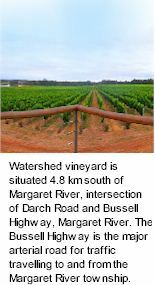 The Margaret River appellation extends approximately 100 km from north to south and is about 32 km at its widest point. The region is marked by the rolling hills of the Leeuwin Naturaliste Ridge, between Cape Naturaliste and Cape Leeuwin. To the west, the Indian Ocean provides a dramatic boundary of cliffs, world renowned surf and some of Australia’s most pristine beaches. While the brands are differentiated by sub-regions, vineyards, style, price and curious names, the objective is always to create wines of expression, personality and interest with an emphasis on unique imaging. As a wine producer Stella Bella aims to be: creative while curious about new and different wine styles and grape varieties. Stella Bella will never neglect the virtues and lessons of tradition. Stella Bella take an opportunistic approach, whilst estate owned vineyards provide much of the fruit, the winemaking team are always in search of grape growers with a Stella Bella vision. Western Australia's first Surveyor General, John Septimus Roe founded the 40 hectare Estate in 1840, which now includes 22 hectares under vine as well as housing the Winery, hospitality and tourism facilities and administration. He named the property Sandalford after the priory in Berkshire where his father was rector. The Estate formed part of the second land title in all of Western Australia. Today's Sandalford, located on the original property, is one of Western Australia's oldest and largest privately owned wineries. James Halliday described Salitage as: "the most important winery in the Pemberton region. Salitage is the showplace of Pemberton. If it had failed to live up to expectations it is a fair bet the same fate would have befallen the whole Pemberton region." Sunk in the late 1800s in what is now known as Ringbolt Bay, located on the southern tip of the Margaret River wine region, adjacent to Cape Leeuwin. It is at Ringbolt Bay where the Southern and Indian Oceans merge and their invigorating waters lap at the edge of the Margaret River wine region. Close by the winery lies Redgate Beach (a favourite spot for both body surfers and fisherman) and a Redgate Road which runs from Redgate Beach to the village of Witchcliffe, there seems to be little in the way of official history in regard to where the Redgate name came from. All wines bearing the Picardy label are made entirely from fruit grown on the Picardy vineyard, and are vintaged and bottled by the Pannell Family in their own winery at Picardy. 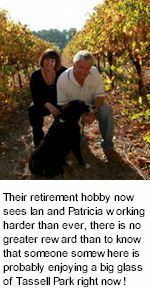 Picardy is owned and operated by Bill, Sandra, Dan and Jodie Pannell. 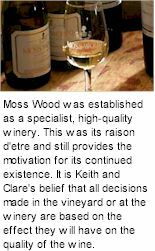 Bill and Sandra were pioneers of the Margaret River region, establishing Moss Wood vineyard and winery in 1969. Moss Wood went on to be a major driving force in establishing Margaret River as one of Australia's important growing regions. 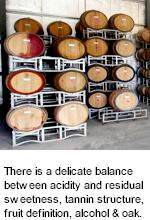 Dan has grown up in the wine industry and completed a Bachelors of Science (Oenology) at The University Of Adelaide. 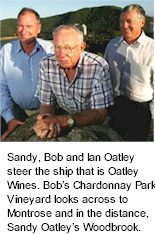 The Oatleys have played an important part in the Australian wine industry since their first vintage at Rosemount Estate in 1974. Those wines were the predecessors of many hundreds of highly awarded and recognised bottlings of fine Australian wine under the Oatley family direction. 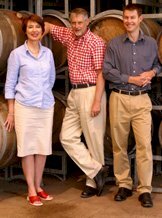 With the 2001 merger of Rosemount to Southcorp Wines and the subsequent sale of Southcorp to Foster’s in 2005, the Oatleys decided to re-enter the wine business. 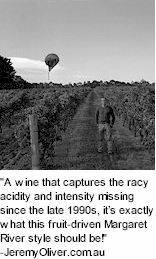 Logically they followed their calling back to the vineyard and established Oatley Wines, quickly gathering a team of extended family and friends to do the job. A study by viticulturist, Dr John Gladstones, first drew attention to the suitability of the Margaret River region for making wine. Gladstones believed that the soil found in the area, clay subsoil covered by gravelly loam, was ideal for viticulture. He compared the Margaret River climate with that of Bordeaux, indicating that both had an average rainfall of over 1000mms and an absence of temperature extremes, because of the influence of the sea on three sides. The vineyard was established because of its unique climate. Sea breezes in the afternoon and gully winds of an evening assist with the reduction in temperatures at ripening time, allowing the wines to display great varietal character. 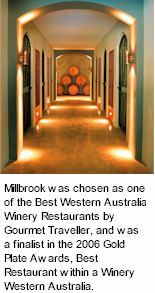 The Millbrook estate winery is located at picturesque Chestnut Farm nestled among virgin jarrah forests, with stunning vistas of the rolling landscape. The origins of Chestnut Farm date back to the nineteenth century when the original owner, Joseph Batt, planted an orchard and the first grapevines in 1860, providing fruit and a few headaches to the local timber-millers in Jarrahdale. The historical site at Caversham in Swan Valley, was acquired by the Erceg family from the Roe family, who had owned the land since settlement in the 1840s. Originally granted to the Swan River Colonies First Surveyor General, John Septimus Roe, it was always the intention of the new proprietors to preserve the cultural and historical heritage of the property, as well as to realize the full potential of Swan Valley as a world class winegrowing region. According to local folklore, the bay’s tranquillity is broken when two tides meet, resulting in schools of small fish going mad…. Jumping about to avoid being gobbled up by hungry, larger fish. MadFish, produced by Howard Park Wines, are wines with an emphasis on enjoyment and drinkability. They are for people who enjoy the pleasures of life: family, friends, food and wine. The Lenton Brae vineyard is in the Wilyabrup sub-region. 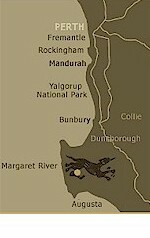 Wilyabrup was the site chosen for the first vine plantings in 1967 and is acknowledged as the epicenter for superior Margaret River Cabernet Sauvignon. The white varieties of Chardonnay, Semillon and Sauvignon also perform well. The best soils in Wilyabrup (and Lenton Brae) are a gravelly loam of a depth 500 – 800mm over a clay base. The varieties selected for planting were Chardonnay, Semillon, Sauvignon Blanc, Cabernet Sauvignon and Merlot. Pinot Noir was also originally planted but has since been removed to increase the acreage of the preferred Cabernet Sauvignon and Merlot. The name Lenton Brae comes from the chapel district of Lenton in Nottingham, England. It is from here that the first Tomlinson’s migrated to Australia in 1882. Brae is a Scottish term for a small hill, which is what the Wilyabrup vineyard is situated on. In 1972, following an extensive search for the area most suitable to produce the best varietal wines in Australia, legendary American winemaker, Robert Mondavi, identified the future site of the Leeuwin vineyard. 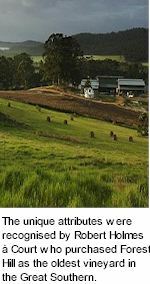 Originally a cattle farm, Leeuwin Estate evolved, under the direction of Denis and Tricia Horgan, with Robert Mondavi acting as consultant and mentor. A nursery was planted in 1974 and the initial vineyards were deep-ploughed, deep-ripped, emptied of stone, planned, pegged, measured, marked and eventually planted by hand over a five year period from 1975. Established in the Great Southern region of Mount Barker, the Goundrey vineyards were planted in the early seventies when the area was initially recognised for its viticultural potential. 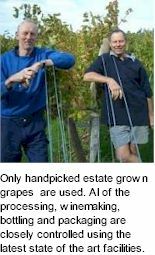 The infectious enthusiasm of the late West Australian wine identity, Jack Mann, encouraged a small number of farmers to diversify into grape growing, and pioneer the region. Fraser Gallop is all about producing the best wines possible from a wonderful location. 165 acres of undulating land on Metricup Road with about fifty under vine. The estate is a close neighbour to a number of iconic producers. You can be assured of high quality wines, as they endeavour to be ranked with the best of them. The philosophy is to allow the fruit to speak for itself. 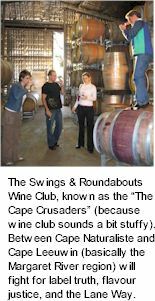 They are assisted by a small, hardworking team who enjoy the diverse and idiosyncratic challenges associated with making wine. 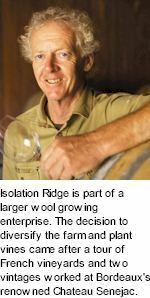 The Isolation Ridge vineyard lies on part of a farm where the family have run a wool growing enterprise since 1974. The decision to diversify their farming interests was inspired and informed by a tour of French vineyards Barrie and Judi undertook in 1985 and also by two vintages they worked at Chateau Senejac in Bordeaux. The winemaking philosophies at Frankland Estate reflect these influences as well as the hard earned lessons gained from some 17 vintages in the Frankland River region. Their approach to winemaking is based on the principle that the most significant characteristics of a wine come from the soil and the vineyard environment. They aim to make wines that reflect nature rather than the hand of the winemaker. 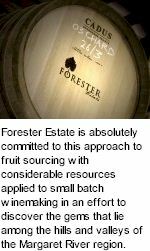 Built in 2002, Forester Estate is a new generation winery that strives to showcase the distinct regional characters of northern Margaret River fruit. The Estate is surrounded by huge Eucalypt trees that once supported a thriving forestry trade established in the 1850s. This forestry industry was the first to open up rugged land along the Leeuwin Naturaliste ridge and provide jobs for many of the new arrivals.The property has a saw pit that was used by the original pioneers to mill timber which was transported by ox and cart to Yallingup Siding, the nearby railway station. This timber, especially the hardwood Mahogany (Jarrah), was shipped out from Geographe Bay to countries around the world. Even today, many streets of London lie on the Jarrah trees milled from the forests of Margaret River. It is from this heritage that the name Forester Estate is derived. 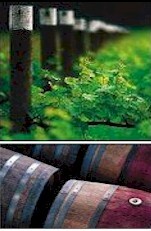 The Forest Hill philosophy is to make individual wines of the highest quality with distinctive regional character. The estate takes aim to produce approachable, understated styles that are pure expressions of unique sites within the forty year old Forest Hill vineyard. Each Forest Hill wine is a true expression of the Great Southern wine growing region of Western Australia, displaying unique regional and varietal character with finesse, elegance and definition. Fonty’s Pool wines is located just outside the Pemberton township and set amongst an idyllic landscape of lush karri forests, approximately 335kms south of Western Australia’s capital city Perth. Established in 1989 with further vineyards planted in 1991, 1996 and 1998 to reach the current total of 110 hectares, the varieties produced are Cabernet Franc, Cabernet Sauvignon, Chardonnay, Malbec, Marsanne, Merlot, Pinot Noir, Sauvignon Blanc, Semillon, Shiraz, Verdelho and Viognier. The total property dimension is 330 hectares and besides grapes, produces avocados (4,000 trees) and truffles. There is also a water storage lake on the property that is over a kilometre long and holds over one million litres of water. Flinders Bay Wines is a joint venture between the Gillespie and Ireland families. Alastair Gillespie has grown grapes in the Margaret River region for over 25 years. He also owns and operates a viticultural contracting business in the South West, establishing, maintaining, pruning and harvesting for growers in all the viticultural regions of Western Australia. Bill and Noel Ireland were wine retailers in Sydney from 1979 to 1996. 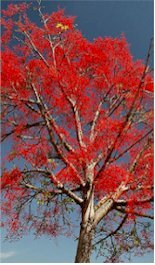 The Flametree is a spectacular Australian tree, in full bloom, a magnificent sight to behold. Interestingly it only comes into full flower when all conditions are favourable. 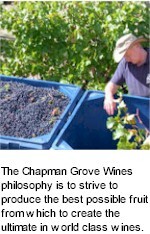 The same is true of winemaking. To produce spectacular, wine all of the elements, from grape to glass, must come together at the right time. Fishers Circle Classic Dry White is definitely a fresh Western Australian catch, perfect for lazy days and breezy nights. So delicious, Fishers Circle Classic Dry White is too good to just throw back. You'll be hooked with the intense aromas and charming flavours of Fishers Circle Shiraz Cabernet Merlot. Elegant and stylish, this Western Australian trio is sure to have everyone circling for more. The lure of Fishers Circle Chardonnay will pull you in with its casual Western Australian elegance. Go on, take the bait and enjoy a Fishers Circle while you nibble. The property takes its name from the town of Fermoy, Co. Cork. Ireland which was founded by an ancestor of one of the original owners. Like many tales, Evans & Tate's does not begin in Australia. Lionel Teitelbaum was born in 1899 in a village called Nicopol in the Ukraine. Still a young boy when he emigrated to Australia in 1909, Lionel was bounding with confidence and enthusiasm. Such energy translated into a successful family and business life, creating a solid foundation for the future Tate generations. Lionel ensured that his son John enjoyed the benefits of an education as well as an appreciation of cultural pursuits including art, music and wine. The Leeuwin Peninsula extends from 33.5 degrees south to the 34.5 South parallel. Tempered by the warm currents of the Indian Ocean, the area enjoys maritime conditions. At the southern end where the Indian and Southern Oceans meet at Cape Leeuwin, the respective warm and cold currents throw a pall of humidity and cloud over the area, moderating summer and winter extremes. Devil's Lair cave is an ancient, mysterious place known to have been inhabited as long as 40,000 years ago. Fossil remains of the elusive Tasmanian Devil discovered on the site are believed to be the origin of the cave's name. Hailing from the premium wine growing region of Margaret River, Devil's Lair forms part of the Great Estates that produce wines of the highest quality. 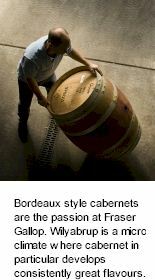 In the early 1960's detailed climatic studies of various regions in Southwestern Australia revealed that during the winegrowing season, Margaret River's climate was similar to that of Bordeaux, particularly Pomerol. 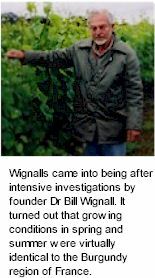 The conclusion that Margaret River was ideal for viticulture was first tested in Wilyabrup in 1966, when Diana and Kevin Cullen planted a trial acre of vines. The encouraging results led to the couple planting 18 acres of vines on their sheep and cattle farm in 1971. Margaret River is a region of striking natural beauty which has become one of the world's most renowned premium wine producing regions and tourism destinations. Its rich terroir, Mediterranean climate and close proximity to the cooling influences of the Indian and Great Southern oceans ensure consistent vintages and the creation of exceptional quality wines. Clairault's pristine undulating property with bountiful creek lines, natural springs and some of the oldest native forests in the south west, make it truly unique. Its history, pedigree and forward thinking approach has established Clairault’s fast growing reputation as a serious player in Margaret River. This, along with outstanding winemaking skills has helped create wines that are truly distinctive to Clairault's vineyard. The Chestnut Tree is at the highest and most visible site of the Chestnut Grove vineyards. It was always going to be the focal point of the winery that today produces one of the best Merlots in the country, as well as West Australia's finest example of Verdelho. The adage that great wine is made from great fruit, drives the efforts in the vineyard. Celestial Bay's wine is crafted from exclusively estate grown fruit to maintain control over every aspect of the production process. Fruit is picked at the level of ripeness required for each style of wine. Vigilance is paid to cropping levels to allow the vines to achieve optimum ripeness and concentration of flavour and colour compounds. 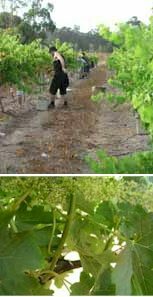 This often involves hand management of the vineyard, dropping fruit when excess crop is developing and managing canopy structure to provide the most efficient utilisation of sun energy and optimal bunch exposure. 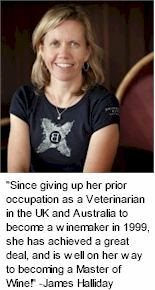 Extensive experience making wine in the Margaret River region and time working in France have shaped the approach at Celestial Bay. New World winemaking requires fastidious attention to hygiene in the winery, effective management of fermentation microbiology, careful stewardship of the wine post fermentation to bottling, whilst employing an artisanal approach to the vinification. The philosophy behind Catching Thieves is to capture the style synonymous with the region to deliver contemporary, vibrant wines. Wines with so much style you'll do anything to get your hands on them. The name Catching Thieves pays homage to the daring, enterprising and creative characters from stories such as To Catch a Thief, Modesty Blaise and Catch Me if You Can. During a lifetime of annual visits back to his parents homeland, Luca Castelli grew up working in the vineyard alongside his grandfather Nonno Germino. After a career in power engineering and renewable energy, Luca became consumed by a dream of getting his hands dirty again amongst the vines once again. His brother Sam's passion for wine also began on the family farm back in Italy. Sam's extensive career in the engineering and construction sectors lead to the ASX-listed United Group Limited, an internationally active company with an annual turnover of two billion. He always remained keen however of picking grapes and delivering boxes of his homemade wine to customers. Cartwheel's premium wines embody the natural sophistication of Western Australia's unique landscape and environment. 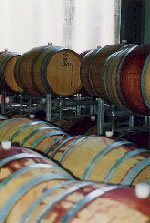 The Margaret River wine region is focused around the Margaret River Township, which is located 250km South-West of Perth on a large peninsula of the West Australian Coast. Margaret River has a temperate maritime climate that is typified by long dry summers and moderate but very wet winters. Rising only to an elevation of 90m, the soils are well-drained sandy loams over water retentive clay loam that eliminates the need for supplementary watering in summer. Capel Vale Winery, restaurant and cellar door, now sit atop the original vineyard site, Stirling Estate. Stirling Estate was originally the site of a stone fruit orchard in the 1930s. Consisting of rich, red alluvial loams over a limestone base, it possessed a natural, permanent watertable and was perfect for growing vines. The first plantings were in 1974, producing the first commercial vintage in 1980. After determining that the soils of the Capel area (now included in the EU registered Geographe Region) were best suited to Chardonnay and Merlot, it became the Prattens passion to determine the best region in South Western Australia for each of the main premium grape varieties. The site started life as a coach inn for travellers on the three day journey between Perth and Margaret River in the horse and buggy era. The property was later developed into the Thorn Hill Dairy, during which time whaling ships would sail into the sheltered waters of Smiths Beach to replenish with supplies grown in the valleys rich alluvial soil. Its spacious, rammed earth Tasting Cellar offers a comprehensive range of wines for sampling and sale, including special Cellar Door releases normally unavailable through retail outlets. The Cellar looks through to the winery's barrel hall, home to over several hundred oak barriques of quietly maturing cabernet. 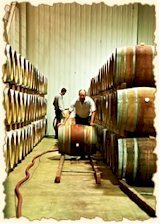 Professional and friendly staff provide excellent service and are well-informed about all aspects of wine production. The spectacular valley, set against a gently undulating landscape, offers protection from the winds and warmth for the vines, a perfect viticultural microclimate. Vineyard management, built on principles of sustainability and incorporating agricultural craft that relies on a respect for the soil and the environment, rewards Brookland Valley with wines of quality and elegance. Bellarmine Vineyard was planted in 2000 and is owned by a German doctor, Dr Willi Schumacher and his wife Gudrun Schumacher. The Schumachers are passionate about great wine and searched the world for a place to plant vines before they chose what has become the Bellarmine property. The vineyard is an elevated site with gravelly laterite soils. Since the first vintage in 2004, Bellarmine has been consistently producing stunning wines. Bellarmine Wines is rated 5 stars out of five by renowned wine reviewer James Halliday. Established by the Devitt family in 1975, Ashbrook produced its first commercial wine (Riesling) in 1979 and its 30th vintage in 2008. Only handpicked estate grown grapes are used. All the processing, winemaking, bottling and packaging are closely controlled using the Estate's own state of the art facilities. Extensive use of the sophisticated lyre trellising system in the vineyard maximizes flavour potential and allows Ashbrook to produce only a premium label for each grape variety. Established in 1986, Amberley Estate has remained true to it's original philosophy of making premium wines from fruit grown exclusively in the Margaret River region. Such a promise has ensured Amberley Estate wines capture the richness and character of this world-class appellation. Amberley Estate's flagship property covers a total area of 67 hectares with 31.48 hectares under vine. 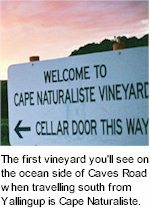 It was primarily the subject of a detailed soil, climactic and aspect analysis before the original owners decided to establish a vineyard. Merv and Judy Lange are pioneers of the wine industry in the Frankland River district. They planted their first vines in 1971 – Riesling, Cabernet Sauvignon, Shiraz and Malbec – and produced their first wines in 1976. 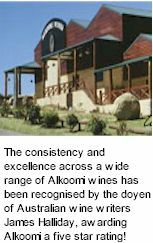 Today, Alkoomi is one of the largest family-owned wine producers in Western Australia. The Lange’s son Wayne, daughter Sandy, and extended family members are all actively involved in the business.